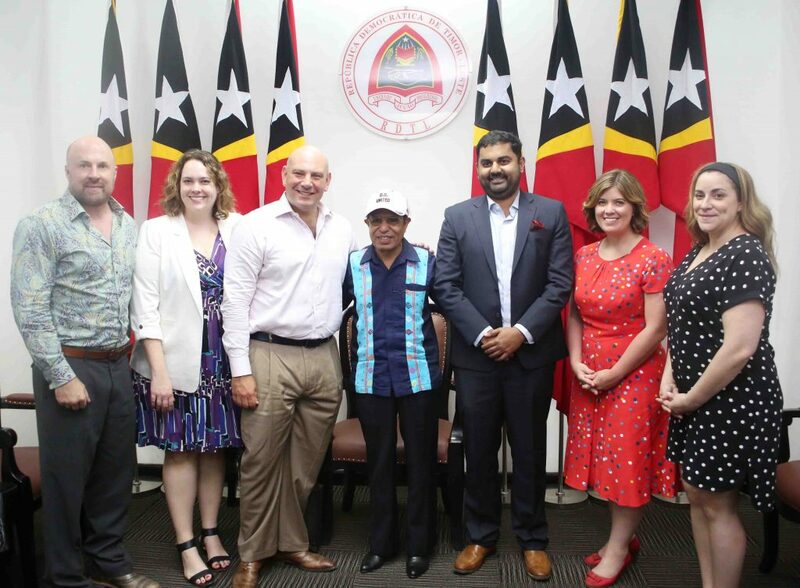 Dili, April 9th 2019: His Excellency Prime Minister Taur Matan Ruak, on Tuesday, welcomed a group of the American Council of Young Political Leaders (ACYPL), which is led by Amol S. Naik, Chief Resilience Officer in Atlanta (USA), in the Government Palace, in Dili. In this courtesy visit, the ACYPL Council informed the Head of Government about their organizational mission and shared their opinion about how to support the development in Timor-Leste, through incentives to the young Timorese to participate actively in the national development process. In its turn, the Head of Government took the opportunity to welcome and praise the visit of ACYPL in to Timor-Leste. This organization intends to create a partnership with Timor-Leste, to facilitate the young Timorese to discuss the global issues and to make an exchange program, in order to share ideas related to the world perspectives. In this opportunity, Prime Minister also talked about the process of the State building and Nation building, after the independence restoration, in May 20th 2002, and gave some information on Timor-Leste’s national development plan, which has already defined the lines for economic diversification, including the South Coast project, in order to create job opportunities for Timorese. Even if the process is going slowly, the Government of Timor-Leste has the strategy and commitment to get the success. The ACYPL delegation arrived in Timor-Leste on this Monday, and will stay for five days. During their visit, besides the meeting whit the Prime Minister, they will also have a meeting with the Minister of State and of the Presidency of the Council of Ministers, Agio Pereira, visit the beer Heineken plant, in Hera, and they will also visit the island of Atauro.